Murder is of the most severe crimes an individual can be accused of committing, and life imprisonment without parole can be imposed if convicted. Your entire future is in serious jeopardy if you are arrested for murder. Nothing is more important than obtaining an attorney who will fight for your life, and has experience with murder cases. Jason handles murder case with a high degree of seriousness and commitment. 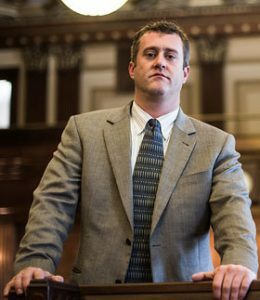 As a criminal defense lawyer, Jason Wilson is focused on the details of the case, and is always concerned with the results of the case. Incidents involving weapons can be charged as a misdemeanor or felony, and the penalties imposed against an individual corresponds to seriousness of the offense. Convictions due to weapons charges can affect the ability to possess a firearm or other weapon in the future, and can have a negative effect on your permanent record. It is necessary to find an experienced North Carolina criminal defense lawyer who understands the complexities of all the factors involved with weapons charges. Jason Wilson offers free consultations in all criminal matters. ©2011-2017 Jason Wilson Law. All Rights Reserved.